Nahargarh Fort stands on the edge of the Aravalli Hills, overlooking the pink city of Jaipur in the Indian state of Rajasthan. The view of the city from the fort is impressive. Along with Amer Fort and Jaigarh Fort, Nahargarh once formed a strong defense ring for the city. The fort was originally named Sudarshangarh, but it became known as Nahargarh, which means 'abode of tigers'. The popular belief is that Nahar here stands for Nahar Singh Bhomia, whose spirit haunted the place and obstructed construction of the fort. Nahar's spirit was pacified by building a temple in his memory within the fort, which thus became known by his name. Built mainly in 1734 by Maharaja Sawai Jai Singh II, the founder of Jaipur, the fort was constructed as a place of retreat on the summit of the ridge above the city. 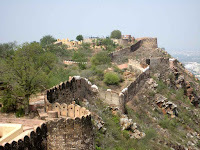 Walls extended over the surrounding hills, forming fortifications that connected this fort to Jaigarh, the fort above the old capital of Amber. Though the fort never came under attack during the course of its history, it did see some historical events, notably the treaties with the Maratha forces that warred with Jaipur in the 18th century. During the Indian Mutiny of 1857, the Europeans of the region, including the British Resident's wife, were moved to Nahargarh fort by the king of Jaipur, Sawai Ram Singh, for their protection. The fort was extended in 1868 during the reign of Sawai Ram Singh. In 1883-92, a range of palaces was built at Nahargarh by Dirgh patel at a cost of nearly three and a half lakh rupees. The Madhavendra Bhawan, built by Sawai Madho Singh had suites for the queens of Jaipur and at the head was a suite for the king himself. The rooms are linked by corridors and still have some delicate frescoes. 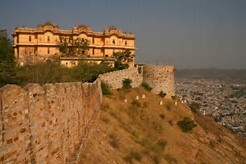 Nahargarh was also a hunting residence of the Maharajas. DR: My name is Digvijay Rajpurohit..
DR: My batch year was 2011-2012. DR: My batch mates were Shubham, Nishant, Kailash, etc. DR: My present qualification is that I am doing Engineering from Jaipur. DR: My favourite teacher of was K.G.Sir and Bharat Sir..
ED: Have you ever participated in any activities, tournaments, etc.? DR: Yes, I have participated in S.ST and Science Exhibitions. DR: I love drawing, singing, etc. ED: Can you share any of your memories with us? ED: Do you want to give any message to your friends, school or juniors, etc? DR: Yes, I want to give the message that always keep on doing well, give your 100% and improve your interest in all the fields of education and sports. Wednesday, 5th July: Workshop of two hours was held for the faculty during the PDP Session by School Chairperson Mr. Sandeep Dutt. 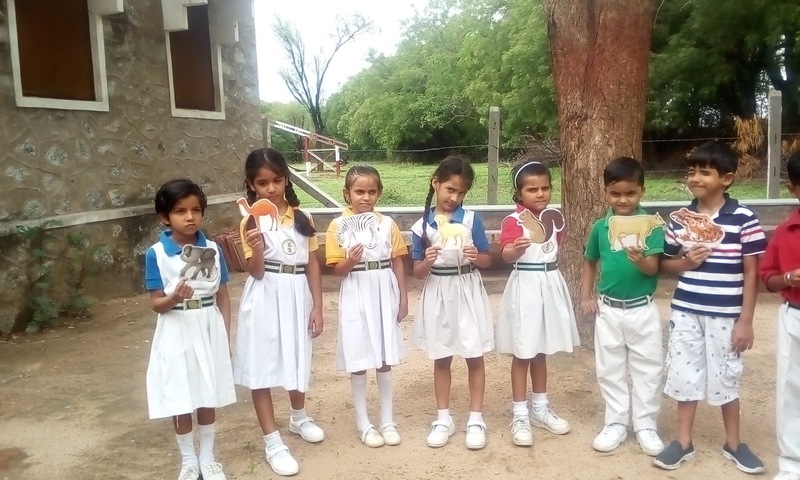 There was a Skype Meeting with Smiriti Krishnan where the teachers were trained on how to open the modules and upload their documents in Learning Forward Online Platform M Gurujee. Staff is asked to register themselves as learners in M Gurujee and upload their holiday assignments. Then the Staff was asked to speak on their holiday assignment. Each staff member gave their views on the book ‘Is Your Child Ready for the World’ by Dr. Sibal that they read and the quality they liked most. 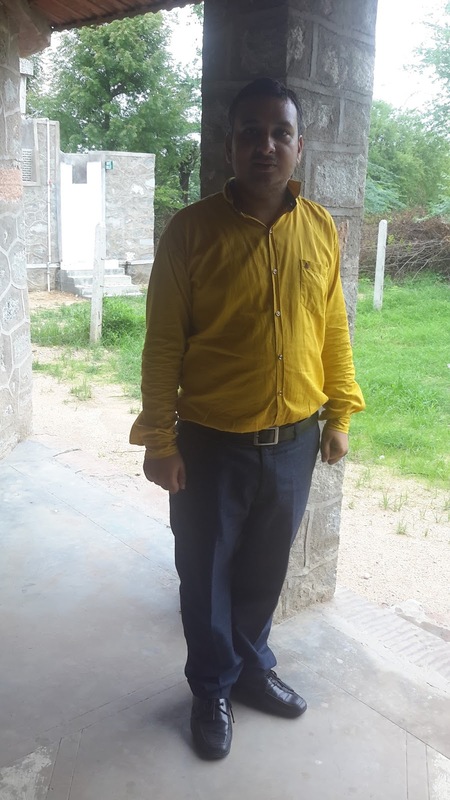 Manish Jaiswal/ Physics was selected as the Teacher this Week for achieving 100% result in his subject in XII Board Results. He gave the message to the students to work hard and have faith in themselves. MJL: The principal was Mrs. Deepika Tandon. MJL: The environment was good. MJL: Class XI and XII(Physics). ED; What do you expect from the children? MJL: I want the children to work hard honestly and disciplined. ED: Have you taught any school before Fabindia. MJL: CGI (Chandrawati group of institution), CLG, Sumerpur. MJL; Every student has a unique quality. So, preserve it and work to improve it. Have faith in your hard work. Mrs. Ramila Tripash m/o Jatin Tripash/VII and Tanya Tripash/III was selected as the Parent this week. She is a housewife. 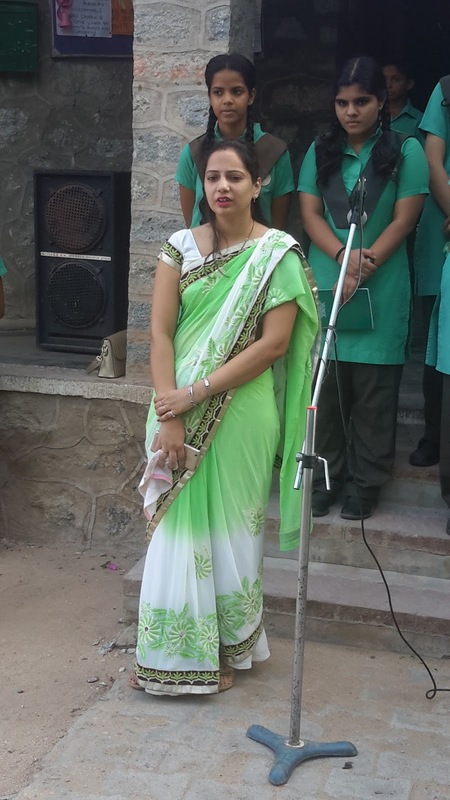 She addressed the students and gave them the message to work hard and have an aim. She asked the teachers to be good; never be bias with the students because a good teacher is someone who thinks like a child, looks like a parent and behave like a boss. RT: I am a housewife. RT: My two wards are studying here Jatin Tripash in VII and Tanya Tripash in III. RT: No, I have not achieved my goal. I want to become a fashion designer. RT: I want them to achieve their goal and I will help them in every aspect. RT: Teacher’s behavior should be good; never be bias with the students because a good teacher is someone who thinks like a child, looks like a parent and behave like a boss. RT: They must work hard because it’s all depends on the students; their future is in their hand not on others. Students should have an aim and achieve it and make their parents and school proud of them. 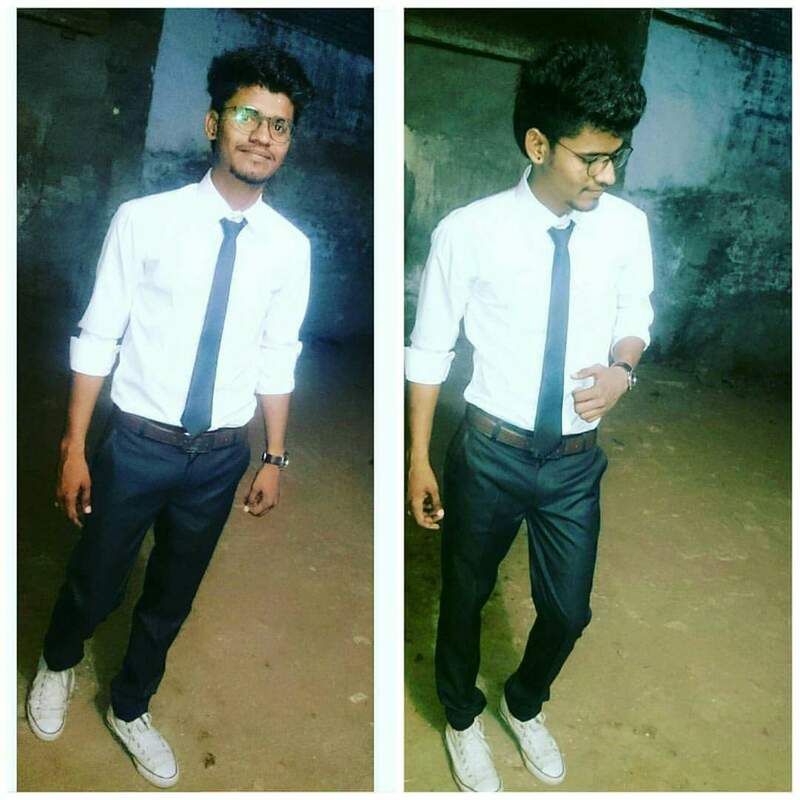 RT: I feel friendly, teachers and principal’s nature is very cooperative. 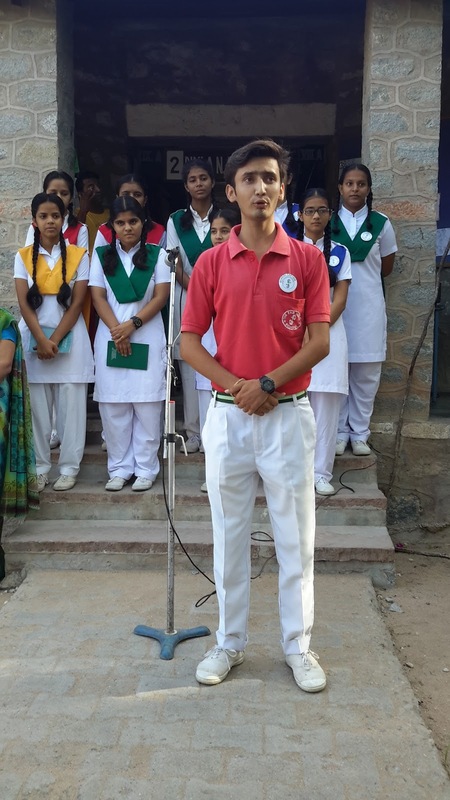 Amrit Choudhary/ XII was selected as the Student this Week for his sincerity, hard work as the School Captain.. He gave the message to the students to work hard, be positive and set up their goal which is necessary for each individual. He thanked all the teachers for giving him this opportunity. Tuesday, 4th July: Show and Tell Activity was organized for the Pre-Primary Students. They were given animals and each child was asked to tell a few lines on the animal that they showed. They had fun and learning by this activity. Thursday, 6th July: Pink Day was celebrated for Pre Primary Students. They came dressed in pink. 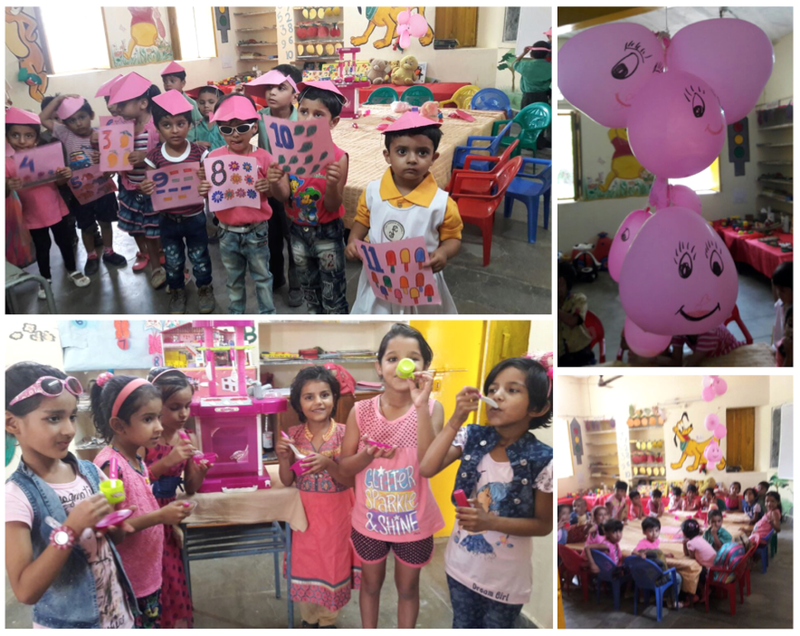 They decorated their class with pink charts and made pink cold drink. They also brought pink colour fruits and desserts to eat. Students had fun and enjoyed the day. Saturday, 8th July: School observed an activity day. Activity Timetable was circulated. In the Second half IH Cricket Match was organized for the Senior Section. Two matches were played. Hardline match was played between Dhyanchand House and Raman House. Dhyanchand House won the match. Final match was played between Gandhi House and Teresa House. Teresa House won the match. The matches were interesting and enjoyable. Dear was conducted once again on Monday and Wednesday to enhance the reading abilities in the children. Saturday, 8th July: Inter House Hindi Debate Competition was organized for students of the middle section. 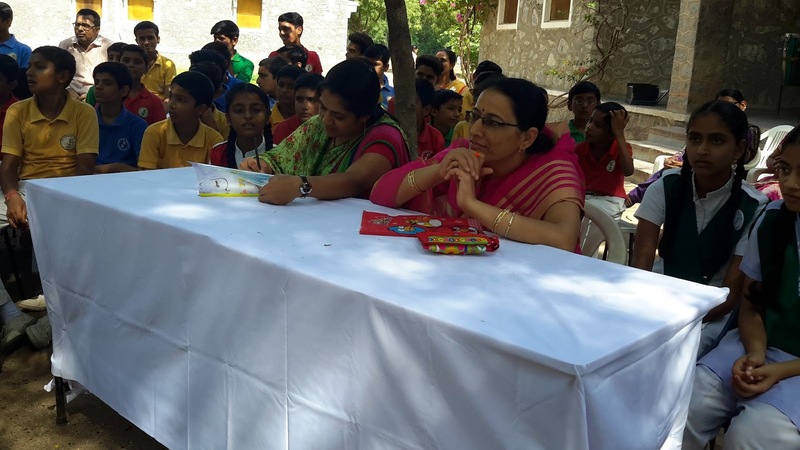 The members of the jury were Mrs. Santosh Gehlot / Parent, Mrs. Sangeeta Kunwar/Parent and Mrs. Bharti Rao/ Faculty. The students gave a beautiful presentation. They confidently delivered their views.. The topic of the motion was ‘Effects of Demonetization’ and ‘Indo Pak War’.